This week I want to introduce you to my friend, Sheila McFadden. I have known Sheila for several years now through women&apos;s mission and church events and have followed her amazing journey of adoption. 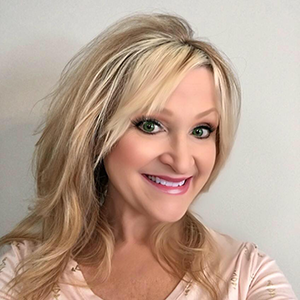 She is one of the co-authors of Grace for the Journey: A One-Year Devotional for Adoptive Moms. Even though the title says "moms" this book would be great for anyone who has a heart for adoption. I know you will want to get this book for yourself or someone you love after you meet Sheila and hear just a little of her story. Hello Sheila, thanks for sharing with us today about your new book that you co-authored, Grace for the Journey. Your book is a devotional for adoptive moms. We will talk about that in a minute, but first, will you tell us about yourself and your life before adoptions? Hi, I’m so honored you asked me to share with your audience. I’ve been married for 35 years to my pastor husband, Greg. We met at Union University and fell in love rather quickly. We have two grown sons, Ryan and Joey, that both live in the Nashville area, Lily, who was adopted from Guatemala and our fur baby, Bella. I have spoken at numerous women’s conferences, churches, and events. I’ve been a teacher, but I’m taking some time off right now. I am an Avon Representative, I teach a Ladies Bible Study on Sunday mornings at my church, sing in the church choir, and I’m a soloist as well. Whew, I’m tired from just saying all of that! Before the adoption, I was working for a doctor in our town, a job that I truly loved. One of our sons was out of college, and the other one was still at Union. We were about to go through the empty nest phase of our lives, so we were planning a trip to Hawaii. Life was good, and I had no complaints. Adoption was not on our radar. Now tell us why you chose adoptions to add to your family and a little bit about how you adopted your beautiful daughter. I was at a ladies meeting one night and heard a lady talking about taking a group to Guatemala to a children’s home. I had never been out of the country before. I didn’t even have a passport, but I felt led to ask her about the trip. She said it was a little shorter than usual, only five days, and it was a good first out of the country mission trip experience. I thought about getting to play with kids and helping with whatever needs they had at the time, and after talking to my husband, I decided to go. This was in 2006. I explain in my book what that experience was like in one of my devotions, but a year later I received an email from the orphanage saying that there were 40+ children that were adoptable and that if they were not adopted, they would be pulled from this private home and put into a government orphanage, which was not the place you wanted them to be. I was immediately quickened in my heart, and I read that email over and over. I prayed and then I went to bed thinking that the next morning the feeling would be gone. I thought it would kind of be like the feeling you have when you want another baby but you know that’s not logical, so you hold someone else’s and then your good and ready to hand them back. However, the next morning the feeling was deeper and stronger than ever. I shared it with my husband who thought I was going through a midlife crisis, but God brought him around in about 24 hours. The one stipulation was that one of the parents had to have gone to the orphanage before on a mission trip. That’s when I knew why God sent me there a year before. We began the adoption process in 2007 when Lily was about to turn four years old, and we got her home about a week before she turned eight in 2009. We went on many trips to see her, and I eventually ended up moving there the last seven months to get her home. You’ll have to read about all of those experiences in the book. It was a hard season, but I would do it again, and again if it meant getting my daughter home. We never did take that trip to Hawaii, by the way. LOL! I know you as a teacher and a speaker, have you written things other than this book? How did the book come about? I have written all of my conference materials, but this is the first writings that I have had published. We have had things written about us though. Christian artist, Matthew West, wrote a song about our adoption called “One Less” that is on his album “The Story of Your Life.” He also wrote a devotional book called “The Story of Your Life,” and our story is a part of that book. It’s such an honor and a great legacy for Lily to have her very own song. He spent some time with us in our home, interviewed us, and did a concert at our church. We love his family and keep in touch with them. This devotional book came about through an acquaintance that knew our story before they began their adoption. Her name is Melody Cain, and her husband is a pastor also and knew our story from my husband. She called me one night when I was at the gym watching Lily cheer for basketball and shared that she felt alone in her adoption journey and wanted to do something that would help others who are adopting, have adopted, or who are thinking about adopting. She asked me to pray about being a part of it, and I already knew that this was something that I wanted to be a part of and that God had already laid on my heart. She pulled together 14 ladies who all have different adoption/foster stories and has been the mastermind in this whole process. She is incredible. This is a devotional book can you tell us about your process for writing? Did you come up with the story first and then apply the spiritual application or vice versa? Did you have a specific time of day or place set aside for writing? I had already started writing some things down knowing that someday I wanted to write a book and I didn’t want to forget the experiences that we had been through. My particular way of writing is storytelling. I write by sharing my experiences. After I would write my devotion (we each did 20 for the book), I would read back through it and see what God had shown me through this particular experience and apply my spiritual application with my verses. It was very easy for me to write because I love it so much, so the hardest part of the process was editing down my words for each devotion. My editor would send me my writings for revisions and almost every one of them would say, “I don’t know how you can take things away from this, but you are over the word limit, and you need to scale it down.” That was so hard because I have so much to tell! I did most of my writing at night and on weekends because I was teaching school at the time. The deadlines were a little stressful, but our editor and publishing company were wonderful to work with. Do you have plans to write more in the future? Yes! I do want to write a book about our journey without having to cut down on my words. I’m in the process, and the title will be “one Less.” This is a story that needs to be told. Whether you have adopted or not, it’s full of miracles and the reminder of God’s love for each of us. Just like I picked up and moved to a third world country to do whatever I had to do to get my daughter home, God left glory to come down and do what He had to do to get us to our heavenly home as well. Whew, I just got chill bumps! Also, a lot has happened since Lily came home. There is so much more to our story now that I think will be beneficial to others who have adopted older children. Tell us where and how we can get your book. 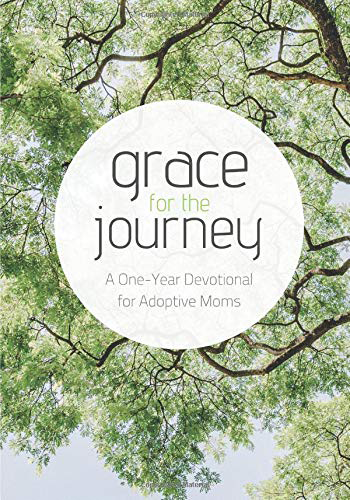 The book is available from Amazon.com, and it’s called Grace for the Journey: A One-Year Devotional for Adoptive Moms or I have some copies as well if anyone lives near me and wants a copy. There is also going to be a Launch Party/Worship Night in March. Readers can go to the Facebook Group “Grace for the Journey Adoption Community” for more details. There will be a link to sign up for registration at the end of January. It’s going to be an extraordinary evening for the adoptive community or those who just want to support or learn more about our stories. I also have a website www.sheilamcfadden.com where I occasionally blog. I have contact information if anyone is interested in having me come and speak to their women’s group. It doesn’t have to be adoption related. I have many topics to share about being a Christian woman in the world we’re living in. They can also find me on Facebook as Sheila Willis McFadden, Instagram as mcfadden 5 (Sheila McFadden) and on Twitter @savingorphans. Thank you, Sheila, for talking with us. Do you have a favorite scripture you would like to leave us with today?